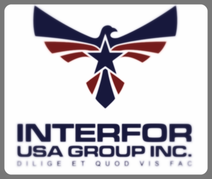 Products - Interfor Usa Group Inc.
As a bona fide Texas firearms company and FFL we must collect sales tax from Texas residents. If you are not a Texas resident and see sales tax added DO NOT WORRY ABOUT IT AS IT WILL BE CANCELLED AS SOON AS YOU INPUT YOUR ADDRESS, before closing the sale and paying. Feel free to call us at 832-542-1587 or email for any information.